If you're waiting around for music that makes your pulse synchronize with the beat, wait no longer. 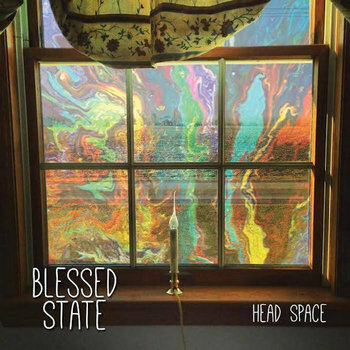 Blessed State's Head Space is a half hour of furious, dreamy punk in the tradition of Bob Mould, et. al. Blessed State's sound can best be described as expertly orchestrated chaos. "Yr Language" starts off with an irresistible guitar riff that's quickly submerged in distorted bass and furious vocals. Head Space doesn't go up for air from that point onward. "Legacy" is my favorite song on the album -- it probably has the most straightforward melody of the songs on the album, but doesn't let up on Blessed State's singular knack for heaping on the existential pain.